Cost to repair stucco siding varies greatly by region (and even by zip code). Get free estimates from siding contractors in your city. Cost to repair stucco siding varies greatly by region (and even by zip code). How much does it cost to repair stucco siding? Although stucco siding is durable and long lasting, it isn't immune to damage. 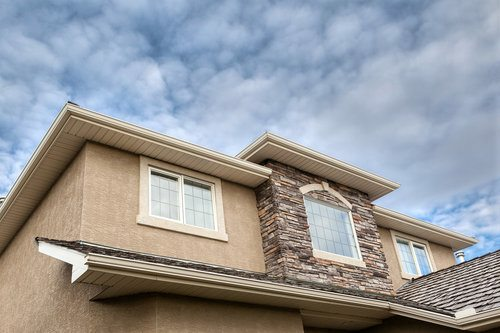 Overtime and often due to weather issues, stucco siding can get cracked and warped. Therefore, the best siding repairs as far as this material is concerned involve removing the damaged area and then applying the new stucco. Just matching the existing stucco with the right amount of aggregate can be challenging, so, if the homeowner does not have masonry experience, it might be better to hire a professional. Repair costs vary based on the size and location of the damage, the age of the stucco 1, and the climate and weather, but the average repair for fixing cracked stucco 1 on a 1500 square foot home is $400-$750. Materials: traditional stucco 1 mix typically costs around $9 a bag and about $22 for the finishing material, depending on the thickness and quality of the mix. Fixing approximately 10 to 15 medium-sized cracks will take about 15 or 22 bags of stucco 1 for a total cost of $200-$289 for a 1500 square foot home. Whenever the old stucco 1 is removed, you will need to install a vapor barrier 2 over the exposed area and cover this with new metal lath 3 before putting the stucco 1 over this. Additional materials such as rolls of vapor barrier 2 and lath will ad $40. Labor: contractors typically charge $40-$50 per hour to repair stucco 1 siding and will require 4-8 hours of work ($160-$400). 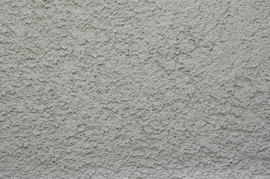 Most contractors use traditional stucco 1, made of a powder mixture. Synthetic or acrylic stucco 4 comes from a wet mix and can provide brighter colors and different texture finishes. It is harder to work with, but may make a better repair if you can get the color match, because it’s elastic and less likely to crack again in the future. However, the cost for the materials per square foot is around five times more for synthetic stucco that for traditional stucco 1. 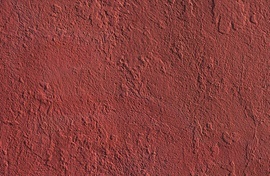 Stucco 1 is not painted when applied, the color is actually added to the finishing coat and it is possible to match colors fairly accurately. Even traditional stucco 1 can give you a fairly good match, although you may need to tinker with how much pigment is added to the finishing coat. Only if the homeowner wants a new color everywhere (which is possible) should the stucco 1 be painted, in which case the patches and the rest can be painted together. To paint the stucco 1, wait for the repair to set completely and then paint it the matching shade. This can add an additional $200-$400 to your total costs. Homes with multiple stories or architectural details like uniquely shaped windows, shutters, or porches, typically require higher labor costs because it takes more time to work around those details. Plan to add an additional day of labor costs ($400) and time to your project if your home is more detailed. How much does it cost to repair stucco siding in my city? Cost to repair stucco siding varies greatly by region (and even by zip code). To get free estimates from local contractors, please indicate yours. Mesh made out of metal, that is used as a support for heavier siding materials like brick or stone veneer. Cost Considerations: On average, metal lath costs between $1.03 and $1.27 per sq. ft. to install. Cost Considerations: Acrylic stucco costs more than traditional stucco; $0.25 to $0.50 per sq. ft. vs. $0.05 to $0.10.